CLEVELAND – (NYT) – A huge Ellen suddenly materialized behind Hillary on a giant screen, interrupting her speech Monday night at a fund-raiser at George Washington University in Washington. What better way for a desperate Hillary to try and stop her rival from running off with all her women supporters than to have a cozy satellite chat with a famous daytime talk-show host who isn’t supporting Obama? “Will you put a ban on glitter?” Ellen demanded. Diplomatically, Hillary said that schoolchildren needed it for special projects, but maybe she could ban it for anyone over 12. David Brody, the Christian Broadcasting Network correspondent whose interview with Hillary aired Tuesday, said the senator seemed “dumbfounded” by the Obama sensation. She has been so discombobulated that she has ignored some truisms of politics that her husband understands well: Sunny beats gloomy. Consistency beats flipping. Bedazzling beats begrudging. Confidence beats whining. Experience does not beat excitement, though, or Nixon would have been president the first time around, Poppy Bush would have had a second term and President Gore would have stopped the earth from melting by now. Voters gravitate toward the presidential candidates who seem more comfortable in their skin. J.F.K. and Reagan seemed exceptionally comfortable. So did Bill Clinton and W., who both showed that comfort can be an illusion of sorts, masking deep insecurities. Just as in the White House, when her cascading images and hairstyles became dizzying and unsettling, suggesting that the first lady woke up every day struggling to create a persona, now she seems to think there is a political solution to her problem. If she can only change this or that about her persona, or tear down this or that about Obama’s. But the whirlwind of changes and charges gets wearing. By threatening to throw the kitchen sink at Obama, the Clinton campaign simply confirmed the fact that they might be going down the drain. Hillary and her aides urged reporters to learn from the “Saturday Night Live” skit about journalists having crushes on Obama. “Maybe we should ask Barack if he’s comfortable and needs another pillow,” she said tartly in the debate here Tuesday night. She peevishly and pointlessly complained about getting the first question too often, implying that the moderators of MSNBC — a channel her campaign has complained has been sexist — are giving Obama an easy ride. Actually it’s not forgotten. It’s a hard sell for Hillary to say that she is the only one capable of leading this country in a war when she helped in leading the country into that war. Or to paraphrase Obama from the debate here, the one who drives the bus into the ditch can’t drive it out. At the District’s tax office, the favors flowed freely. (WP) – EVERY DAY was Christmas in the D.C. Office of Tax and Revenue. One employee got $35,000 to remodel her house, two others got $15,000 to help pay off credit card bills. Breakfast and lunch were often on the boss, as were high-end shopping sprees. District officials trying to figure out how a multimillion-dollar embezzlement scheme went undetected for years need look no further than a government culture in which goodies were taken for granted. New revelations show that the scheme was costlier, older and more deeply entrenched than first thought. As reported by The Post’s Carol D. Leonnig, federal authorities now think the amount of money stolen may approach $50 million and that the theft started as early as 1989. Even more mind-boggling are reports of the largess handed out by Harriette Walters, former tax office manager and the alleged mastermind of the scam. Investigators are interested in at least 40 people, most of them city workers, who received cash or gifts from Ms. Walters or who signed off on paperwork to issue the bogus checks. Did they knowingly receive ill-gained goods and cash? Should they have known? Why did no one speak up? It’s outrageous that some of these employees still work for the D.C. government — and urgent that questions about their behavior be cleared up and that disciplinary action be taken where appropriate. Needless to say, the District must also aggressively seek to recoup its stolen millions. It’s reassuring that the District is conducting top-to-bottom reviews of the city’s tax operations separate from the ongoing criminal probe by the U.S. attorney’s office. Just as anyone who broke the law needs to be prosecuted, it’s important to find out why the system failed and even more critical to fix it. The D.C. Council has retained William R. McLucas, a lawyer well known for his probe into Enron, to lead an investigation with PricewaterhouseCoopers. Additionally, Chief Financial Officer Natwar M. Gandhi has established an audit committee with distinguished outside experts to review the office’s management and recommend improvements. Some 600 people work at the tax office, and it’s tragic that their accomplishments have been overshadowed by their selfish co-workers’ deceptions. The scam appears to have been underway well before Mr. Gandhi became director of the tax office in 1997. Why, though, weren’t the notable changes instituted by Mr. Gandhi — such as ethics training, an employee hotline for wrongdoing and improved technology — more effective? No doubt part of the answer lies in the difficulty of bringing about lasting reform in a government that for too long served as easy employer for those with political friends and family connections. (b) That the real edge she has in experience is her ability to repeat strategies, tactics, message, fundraising models and campaign style of the 1990’s, something modern voters reject emphatically? And why do the Clintons persist in running a negative campaign even when they can’t find anything to be negative about? Alienating voters with their abrasive attacks without attracting them with their consent, they throw pitty-pat punches accusing Obama one day of plagiarism for borrowing speech lines from his close and consenting friend and the next day for accurately describing Hillary’s healthcare plan as requiring sanctions to make those who do not wish to sign up do so against their will – albeit for policies Mrs. Clinton deems to be “affordable”. If you are going to pay the price of going negative, throw real punches. Hit Obama with big negatives. You take the backlash for going negative in order to pass the lethal message on to the voters. But if you don’t have any negatives to throw and your detectives have, indeed, come up empty, then stop trying to go negative. Stop alienating people to no purpose. The deeper reality of this campaign is that Obama has shown, by his incredible skill in the way he is waging it, an ability to handle himself and a talent for the demands of center stage that show, experience or not, he is better able to be president than the inept Hillary. We are watching a grim re-enactment of all of the character traits that led Hillary to decompose in the healthcare debate of her husband’s first term. 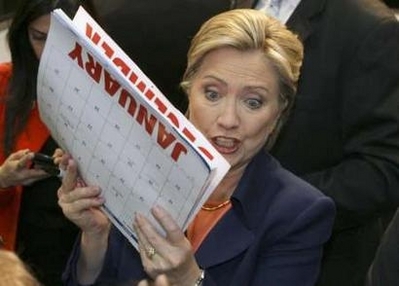 The blind reliance on a guru-delivered strategy, the religious insistence on following the same rhetorical line even when it obviously isn’t working, and the inability to formulate new strategies or to improvise tactics when her preconceptions are found to be so obviously faulty – this is Hillary at her worst. TOKYO-(G-UK) – Japan’s grim reputation as one of the world’s suicide nations has been confirmed by statistics that show more than 30,000 people a year have taken their own lives since figures first began to rise in 1998. In 2006, there were 32,115 suicides – 25 per 100,000 people; nearly 100 people a day; one every 15 minutes. The most common hour of death is 5am for men and noon for women, after their families have left for work or school. Japan has roughly half the population of the US, yet the same number of suicides. There were 5,554 suicides of people aged 15 and over in the UK in 2006; three quarters involved men. Experts in Japan were puzzled when the suicide rate jumped in 1998 from 24,391 to 32,863 – a 35 per cent rise – and the annual figure has continued to stay above 30,000. Two theories have been put forward by the media: bullying at school and netto shinju – online suicide pacts. The world’s first internet suicide pact involving strangers took place in Japan in 2003. The bodies of three young people were discovered in a van on a mountain road. The windows were sealed with black duct tape and a burnt-out charcoal stove was found inside. Police across Japan began to make similar discoveries: three or four bodies, victims usually in their late teens to mid-twenties, and often a burnt-out charcoal stove. Last year the National Police saved 72 potential suicides who had made postings on the net. But Yukio Saito, the director of a 24-hour suicide helpline, said that until recently Japan has done nothing to stop tens of thousands of others taking their lives. The helpline takes an estimated 720,000 calls a year at its 49 centers. 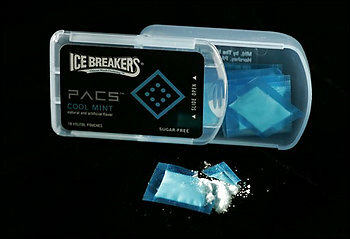 HERSHEY, Pa. — The Hershey Co. is halting production of Ice Breakers Pacs in response to criticism that the mints look too much like illegal street drugs, the company’s president and chief executive officer said Thursday. Hershey CEO David J. West disclosed the decision during a conference call about the company’s newly released fourth-quarter earnings report. Ice Breakers Pacs, which first hit store shelves in November, are nickel-sized dissolvable pouches with a powdered sweetener inside. The pouches come in blue or orange and bear the Ice Breakers logo. Members of Philadelphia’s police narcotics squad said the mints closely resemble tiny heat-sealed bags used to sell powdered street drugs. They charged that the consequences could be serious if, for example, a child familiar with the mints found a package of cocaine. “Some community and law-enforcement leaders have expressed concern” about the shape of pouch and the Xylitol sweetener inside, and about the possibility of the mints being mistaken for illegal substances, West said. “We are sensitive to these viewpoints and thus have made the decision that we will no longer manufacture Ice Breakers Pacs,” he said. Ice Breakers Pacs remain on store shelves but are expected to be sold out early this year and no more are being made, West said. 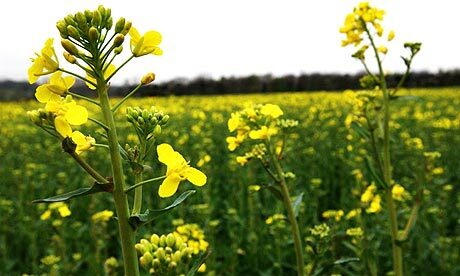 Kirk Saville, a company spokesman, said they had been distributed nationally on a limited basis. Hershey has said the mints were not intended to resemble anything, and West said consumers who tested and purchased the product liked it. Linda Wagner, a narcotics officer with the Philadelphia police whose daughter died of a heroin overdose in 2001, had protested the product in letters to both company and government officials. She said she was pleased by Hershey’s decision but questioned why it took so long. “I will not buy a Hershey’s product” again, she said. “I think they were really irresponsible” in marketing the product. Bill Katzel, a community activist who lives near Tucson, Ariz., and worked with Wagner in fighting Ice Breakers Pacs, said the product remains widely available at stores near him. “A better solution would have been a total recall of this product,” said Katzel, a retired medical administrator for the federal government.